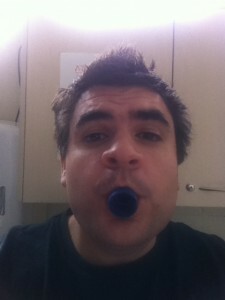 Help Me Settle a Dispute… Does This Look Like a Dummy / Pacifier? Here’s the story, I was on my way to fill up my water bottle, cruising down the hallway at work. Now normally I unscrew the lid and pop it in my mouth ready to fill up… admittedly I sometimes do this while walking down the hall (like today). I have no idea why I do this, anyway, someone decided to make a comment while laughing “I thought that was a dummy (pacifier) in your mouth”. Clearly this person has a visual impairment, right?